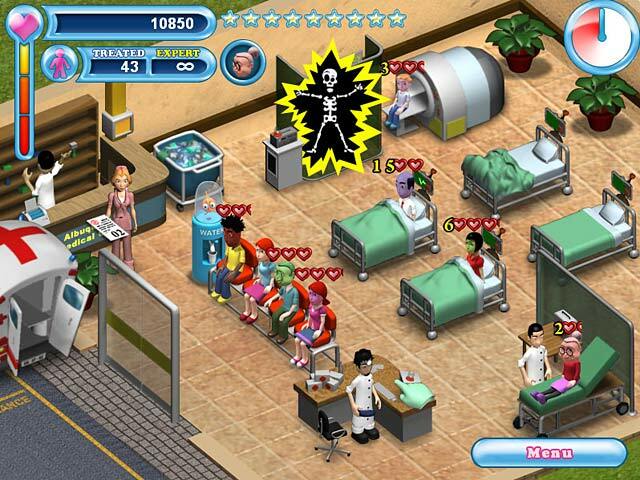 Get in on the hospital hijinks, diagnosing and treating outlandish outpatients in this energetic Time Management game! 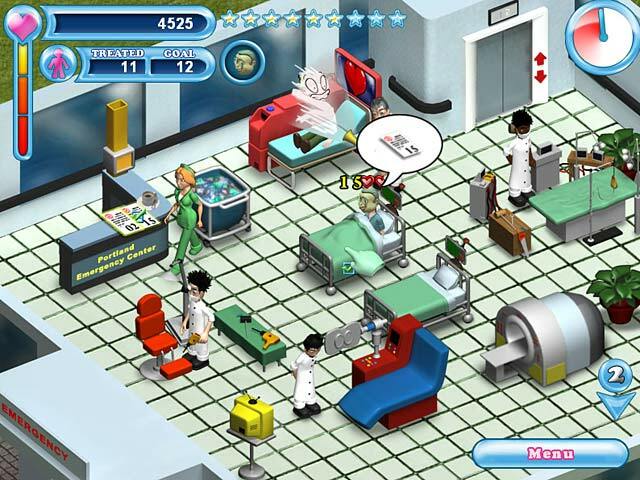 Help Nurse Sarah save lives in increasingly hectic hospitals with an assortment of wacky treatment stations and patient-pleasing power-ups! 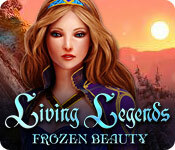 Leave your mark on the field of medicine in Story mode or push your skills to their limits with Endless play! 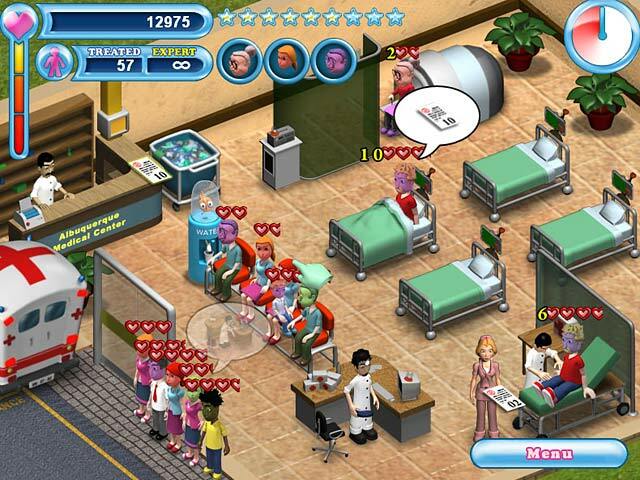 Scrub up and get into the first-aid frenzy of Hospital Hustle today! This game is great, loved it! 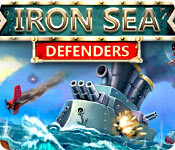 Big Fish are generous in letting us free trial games for the cheap and reasonable price charged. I tried both Hospital Hustle and Hospital Haste - Haste is more like Diner and Hotel Dash style. Which is fine, but I already have Hotel Dash and find it a bit too clicity click, smae as Haste. Hustle is wonderful, graphics are cute and fun and you get to watch the game more instead of rushing with mouse clicks so much. For sure, the better out of the two and one of my favourites! IT'S A REAL LIFE SETTING GAME/ TITLE OF WHAT HAPPENS IN HOSPITALS. I SAID ABOVE, IT'S A LEARNING GAME. A TOOL YOU CAN HAVE TO FURTHER YOUR CAREER IN AN ACTUAL HOSPITAL, OR JUST PLAY FOR YOUR ENJOYMENT AND SKILLS. THIS GAME IS VERY CHALLENGING AND FUN. I WENT TO ALL THE LEVELS. THE LAST LEVEL I DID NOT FINISH. I WOULD LIKE TO GET THERE AGAIN AND COMPLETE THE GAME. I did the trial on this game and liked it. However after I bought it and played it more, I found it not as much of a challenge as I'd like. Limited space in each level/hospital so you have to sell stuff to make room for other stuff; you are limited in changing your hospital attire's color; you can't upgrade staff to go faster or upgrade equipment and I was bored because of the repetition. I also would like more of a challenge and felt this one lacked in challenge and change. This game... ug, it seemed fun at first, but as the game progressed you find that the space limits dampen the fun. At any given stage, you have to sell some of your equipment and buy whatever is applicable for the illnesses that are going around for that particular day. The stages don't really scale well... you don't spend points to upgrade your people or your equipment, you go to a screen at the beginning of each stage and move the silders over to dedicate a certain amount of money that you will make in that day to making everything work better, which you can do on each and every stage from the beginning. Basically to me, this game was a hassle and I stopped enjoying it after about an hour and a half unfortunately. Great fun!!!! Hope they come out with a second one!!! THIS GAME RULES!! LOVE IT!! THIS GAME IS WICKED FUN!! TONS OF ATTENTION GETTERS!! I WOULD THINK EVERYONE WOULD LOVE THIS GAME!!!!! !